Christmas Parties & Christmas Themed Shows Show available through Children's Party Ents Ltd.
A Christmas party wouldn't be the same without a children's entertainer to get all the children in the festive mood and to build them up for the big moment when Santa makes his appearance. Our entertainer’s work everywhere, from schools, pre-schools, nurseries, social clubs, company events, naval bases, army barracks, golf clubs and many more venues over the Christmas period. 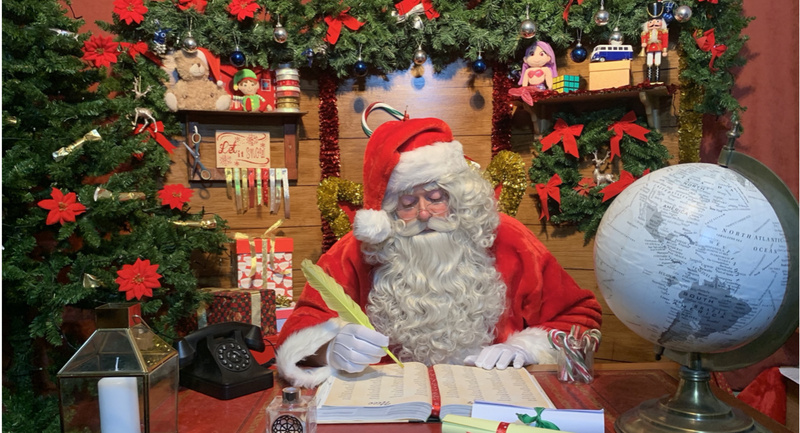 We can supply Father Christmas/Santa, Mrs Christmas, Elves, Magicians, Clowns, Puppet Shows, and numerous other Christmas themed shows and characters to get everybody into the spirit of things. We can also supply Christmas Balloon Modellers who can twist balloons into such creations as Santa, Penguins, Snow Men, Rain Deers and make Festive Hats. PLEASE REMEMBER! To always book up early as our entertainers often get booked months in advance around this very busy time of year.